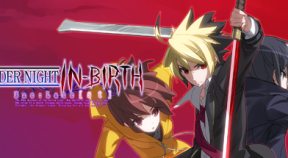 Unlocked all Achievements for UNDER NIGHT IN-BIRTH Exe: Late[st]. Cleared Arcade Mode with any character. Viewed the complete Prologue in Chronicle Mode. Unlocked 5 scenes in Chronicle Mode. Unlocked 10 scenes in Chronicle Mode. Unlocked 15 scenes in Chronicle Mode. Viewed Hilda's complete scene in Chronicle Mode. Viewed all scenes in Chronicle Mode. Won 5 consecutive matches in Versus Mode. Achieved a total score of 1,000,000,000 or more in Score Attack Mode. Cleared Time Attack Mode in under 12 minutes with 3 different characters. Cleared the first chapter in Tutorial Mode. Cleared 20 objectives in Tutorial Mode. Cleared 50 objectives in Tutorial Mode. Cleared 80 objectives in Tutorial Mode. Cleared 100 objectives in Tutorial Mode. Cleared all Beginner-level combo challenges in Mission Mode for 3 characters. Cleared all Intermediate-level combo challenges in Mission Mode for 3 characters. Cleared all Intermediate-level combo challenges in Mission Mode for 5 characters. Purchased all Plates in [Character Plate 1]. Unlocked all 30 colors for any character. Spent over 200,000 IP in total.